A few of my posts to date have discussed recipes I received as a gift at my wedding shower, such as Pistachio Cake and Chopped Veggie Salad. Today is another one of those recipes. The recipe my Aunt Kelly added was a Spinach and Strawberry Salad. A few years ago I made this salad for an Easter gather of friends and it has been requested every year since then. 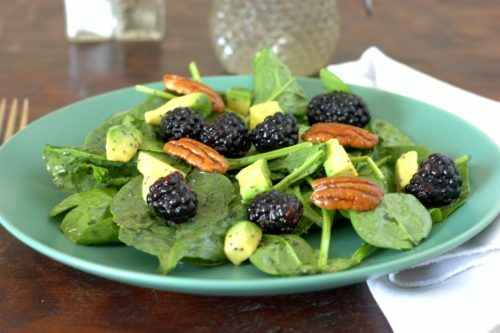 This year is no exception, so I will be making the original recipe as well as my new version, a Spinach and Blackberry Salad. I have kept the dressing the same, as I find the sweet poppy seed dressing is a huge draw. What I did swap out is the strawberries, which I replaced with blackberries, avocados, and pecans. I knew it was a winner when my kids (who have been on a streak lately to proclaim they are hungry just after finishing a meal) each ate a full plate as if I was serving them ice cream. I am looking forward to the verdict at Easter: strawberry version or blackberry version? 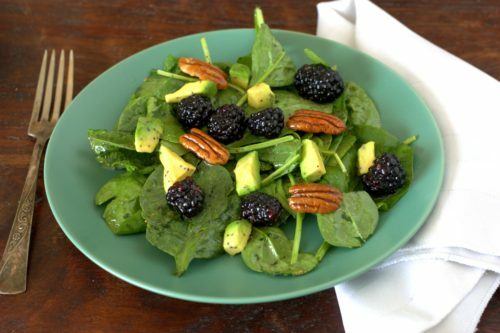 Place spinach, blackberries, avocado, and pecans in a large bowl. Add the oil, vinegar, sugar, onion, mustard, salt, and poppy seeds to a blender. Cover and process until combined. Pour the dressing over the salad and toss to combine. Serve immediately. Note: This salad does not keep well once the dressing has been added. Pour the dressing over the salad just before serving. 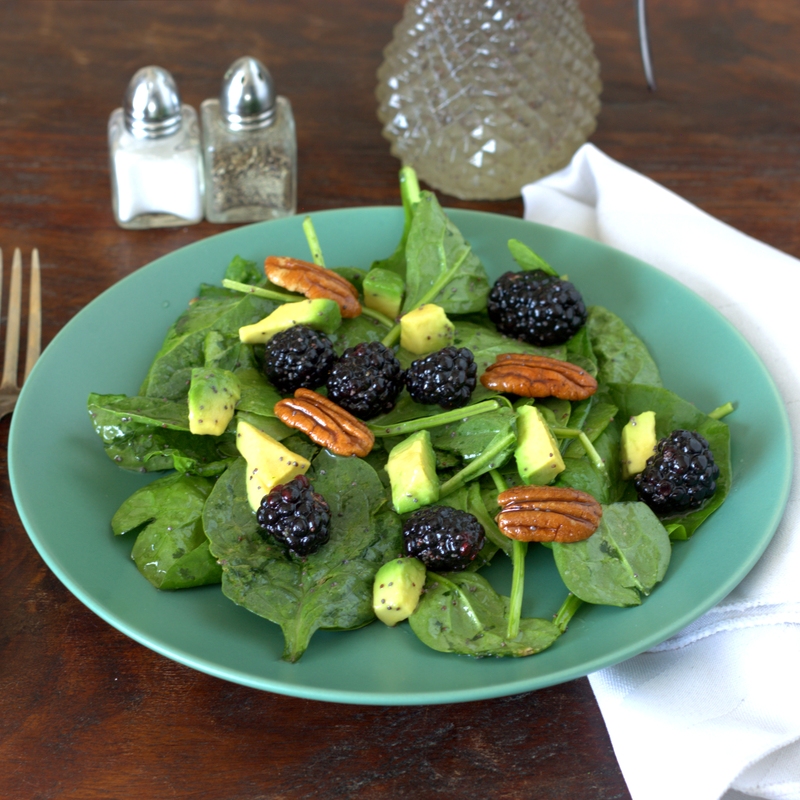 This entry was posted in Side Dish and tagged blackberry, spinach.